Harry Styles is reported to have had a man-to-man discussion with Taylor Swift’s dad and has been ordered to ‘slow things down’ so as not to break his daughters heart. 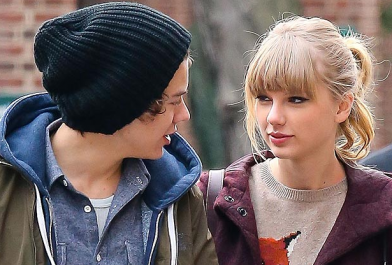 According to the Sun, Scott Kingsley Swift had the chat with 18-year-old Harry – because he’s worried his daughter will end up heartbroken. A source said: “He likes Harry but he wants them to slow down and take things easy. It’s clear to everyone they are smitten with one another and already talking about marriage. The couple then flew to the Caribbean for their third holiday in three months but didnt seen to get much of a break due to the paparazzi. A source told the Mirror: “Unfortunately, Haylor are far too polite when it comes to meeting fans – and always say yes to having photos taken. “Which is how we came to discover their current trip to the beach.